Nichols Given a distributor of our products located in Denver has a very good customer that was having issues with digital positioners. The digital positioners had been sold by another company in a very dirty and wet environment. Nichols Given called us about what we would recommend, we directed them to the V200 because this end user also needed feedback. The customer tried the V200 and had great success with them in their trial stage. The ability of the V200 to withstand moisture and dirty environments really helped. The end user also installed a coalescing filter near the positioner to combat the moisture in the air lines. The user has ordered close to 30 units on their way to replace all of the digital units in their facility. Below are two pictures, a before picture and an after picture. Do you have a success story? If so please email us about your success with pictures to Tammie. The set up of the 4 to 20 mA feedback is critical to the ease of calibration. We have gotten a few calls over the past months from customers that have really gotten the feedback way out of calibration, so far that the feedback would not read back anything that was correct. 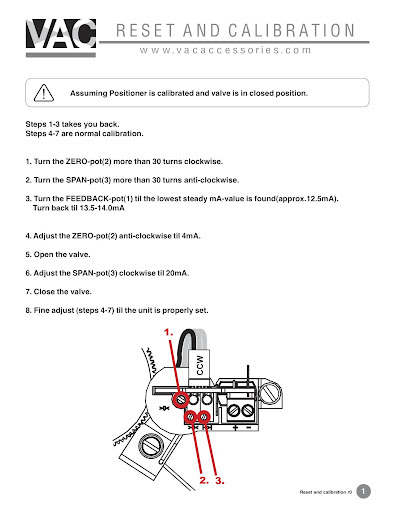 We asked our engineer to put together a little sheet on calibration of the feedback and what to do to get the feedback back to factory settings. Please find it below and if you click on the picture below it will take you to the full pdf version of it on the VAC website under technical support on the homepage. The year is almost to the half way mark!! Time flies when you are dealing with great customers!! In this installment of Product News we will discuss some new tip sheets for the V200 feedback calibration, discuss feedback options for the V200 and spotlight a success story. Also a reminder that Valve Accessories will be closed on Monday, May 30th, in observance of Memorial Day. internally to the positioner in the field or in their shops. They can choose from mechanical switches, proximity switches and/or a 4 to 20 mA feedback for constant retransmission of valve movement. If we are dealing with an EX area then we have the solution for feedback with an adapter kit for Westlock style (must use their long namur shaft) or Stonel product that does meet the EX ratings; simple mounting, solid solution. 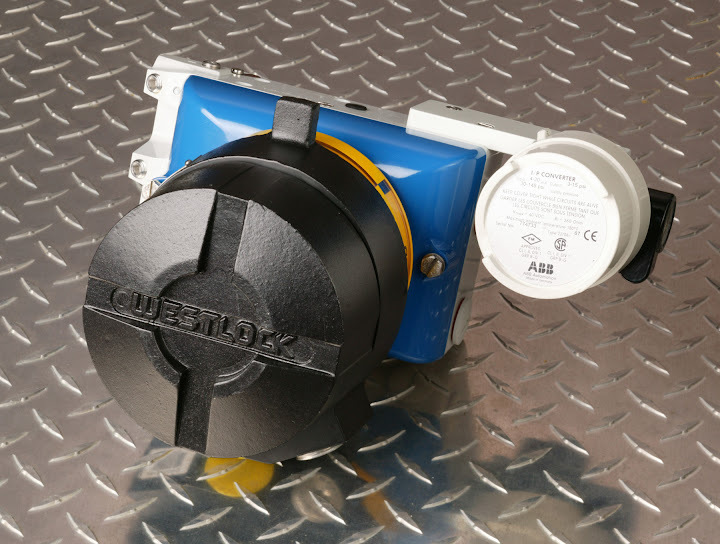 Our standard feedback , inside our NEMA 4x positioners ( even with an EX IP) will not meet the hazardous area classifications. The picture below shows how great the EX IP and an EX feedback look !! The mounting bracket pictured here allows the 3rd party switch box to mount on top of the V200, and the zero and span are still accessible if the unit needs recalibration or tweaking in the field. The EX IP needs no calibration, it has been pre-calibrated at the factory before shipment. By clicking on the picture you will be able to see the drawing associated with this kit or they can also be found on the http://www.vacaccessories.com under downloads, then under V200. These items are stock items, please call us (205) 678-0507 for pricing.